Barbara Kirby grew up in Shadyside, Ohio, a small, eastern Ohio town along the Ohio River. Her grandfather instilled in her a passion for agriculture, natural resources and the environment. While steel mills and coalmines drove the area economic engine and provided the livelihood for many family members, the pollutants and degradation of the environment motivated her to pursue natural resources as an area of study at The Ohio State University. There she earned her Bachelor of Science in natural resources and the natural resources/environmental sciences teaching certification. While teaching natural resources and managing an 80-acre land laboratory at the Ashland Co.–West Holmes Joint Vocational School, she completed her Master of Science degree in agricultural education. The challenges and rewards of supervising student teachers led her to Virginia Polytechnic Institute and State University, now Virginia Tech, to complete her doctorate. Kirby began her career at North Carolina State University in 1985 as an assistant professor. She progressed through the ranks from assistant professor to full professor where she holds tenure in the Department of Agricultural and Human Sciences. She devoted 13 years to the College of Agriculture and Life Sciences at NCSU as associate director of academic programs. She provided leadership for courses and curricula, teaching and advising effectiveness and instructional technology initiatives. She also served as director for the Agricultural Institute, a nationally prominent associate degree program. 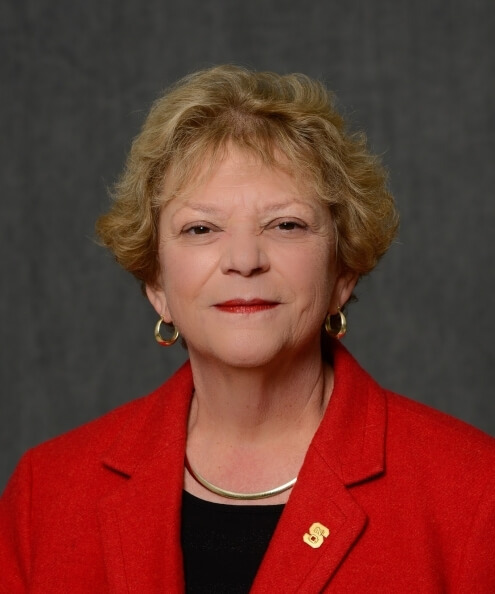 She continued her administrative career at NCSU as associate vice provost of administration and curricular programs in the University College, Division of Academic and Student Affairs. As associate vice provost, Kirby had leadership and specific administrative oversight for faculty promotion and awards, the overall processing of university courses and curricula and oversight of the general education program, first year inquiry program and interdisciplinary programs. Kirby and her spouse, Milford “Biff,” have one daughter, Ashley. A Golden Retriever, Valvano, and Luna, the crazy standard poodle, complete the family. The Kirbys are avid Wolfpack fans who have attended most football and basketball games since Kirby first came to NCSU. Kirby enjoys genealogy, trying new restaurants and travel, especially to the beach and to Ohio where she cheers on the Buckeyes.